Ranjish.com has lots of Urdu Hafeez Hoshiarpuri Poetry. Feel free to add your own Hafeez Hoshiarpuri Shayari here. Hafeez Hoshiarpuri lived his life in Karachi. He was known for his super hit song “mohabat karne waale kam na hon ge, teri mehfil me lekin hum na hon ge”. Ranjish.com is the best place to find Hafeez Hoshiarpuri Poetry. Mohabbat karne wale kam na hon ge..
Woh mujh se is qadar barhamm na hon ge..
husn ko dekha hai main ne husn ki khatir ?Hafeez? 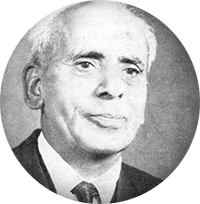 We update our poetry database on daily basis so keep coming back for more Hafeez Hoshiarpuri.